click photo to enlarge We have been talking about visiting Glacier National Park for a long time. The stars all aligned in 2010 I guess and we rode Amtrak's Empire Builder train from Seattle to Chicago. We got off and spent three nights in Glacier National Park each night at a different lodge. The park used to have over 100 named glaciers and is now down to 25. They expect by the year 2020 there will no longer be any left. 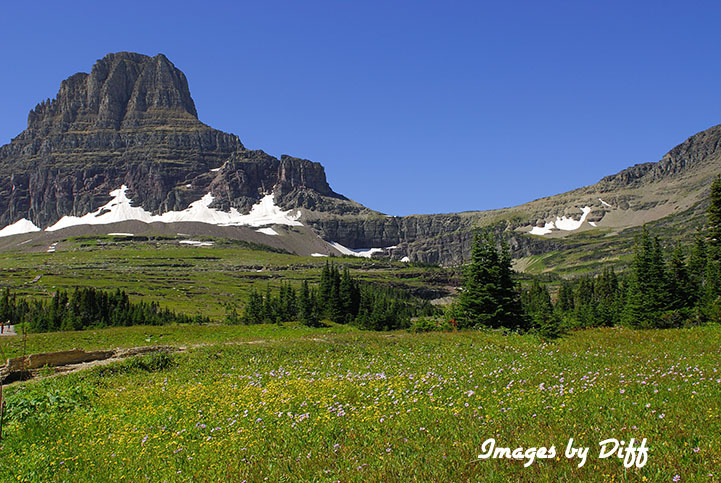 click photo to enlarge The picture at left was a picnic lunch spot. 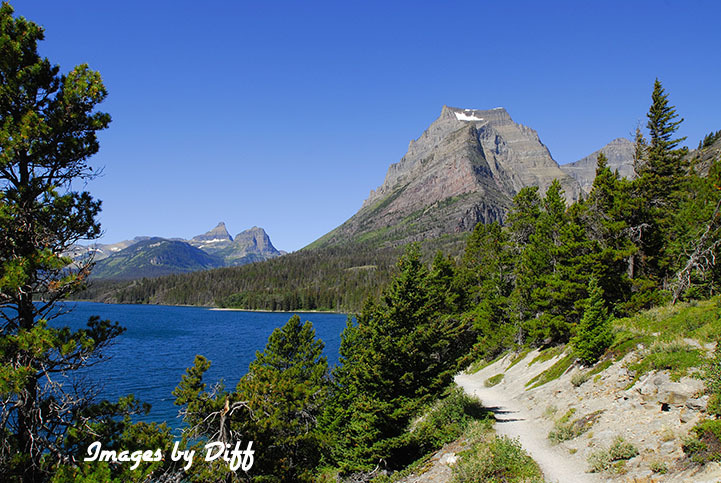 The scenery in the park is very much like Switzerland and in fact when they built many of the park Lodges they mimicked Swiss architecture. The waitresses used to wear Swiss clothing also. 2010 was the 100 year anniversary for Glacier National Park. There is a lot of wildlife to be seen and great trails to hike. Unfortunately our plan did not allow us a lot of time for hiking. We both thought all glaciers were extremely large but not necessarily so. To be called a Glacier it must be large enough that it is moving due to it's weight and that takes a certain size but the glaciers we saw were not as large as we had expected. 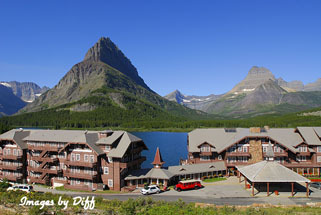 click photo to enlarge The lodge to the left is Many Glacier Lodge. 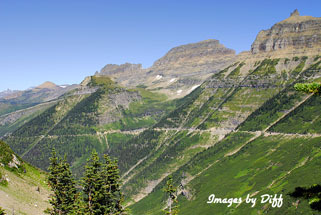 The scene in the lower left corner is the "Going to the Sun Road". 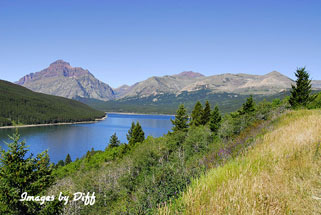 It is a beautiful drive as you see all the glacier carved mountains and scenery. Mountains that are carved by glaciers have thin sharp peaks and the valleys are U shaped unlike V shaped valleys cut by rivers.